A. No, it is simply impossible to learn this profession by reading a textbook online. We offer 80 hours of total "Hands On" training, both in the classroom and out in the field. 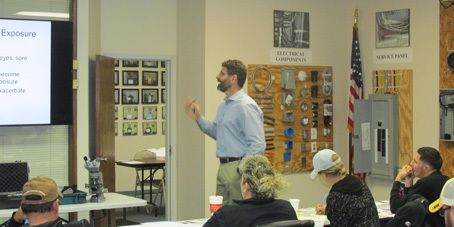 Imagine the dangers of opening up a 200 AMP 120/240 volt main electrical service panel box without hands on training. Trying to accurately inspect municipal water or well plumbing throughout a home, or look at and comment on real structural deficiencies in foundations, walls or attics. It would be very difficult to comment on grounds and drainage, or look for safety issues from asbestos, mold, pest infestation, and lead based paint. 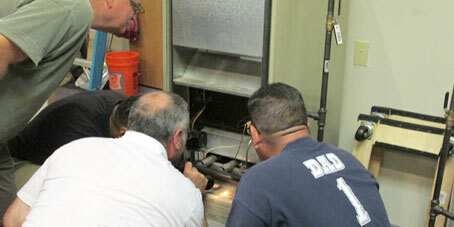 Without "Hands On" training it would also be difficult to inspect items from the HVAC systems such as furnaces, air conditioning units and hot water tanks that can cost your clients thousands of dollars in repairs. Student with only online training will be unprepared to inspect ventilation issues throughout the home, proper insulation as well as numerous expensive roof repairs from shingles and flashing to chimneys. 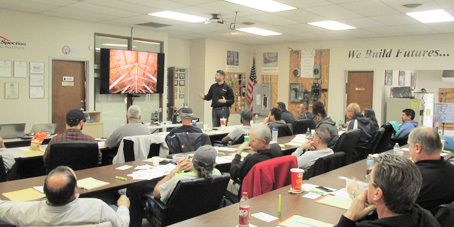 The HomeSpection® Training Institute makes sure you are physically trained "Hands On" on all issues pertaining to both residential and commercial inspections. Most schools will rent a classroom, bring a box of plumbing and electrical supplies, show some slides and call that "Hands On" training...really?! We get 10% to 20% of our students each year who have taken online courses elsewhere and they are totally lost, having only learned terminology, they come to us for our "Hands On" training. Q. What does "Hands On" training consist of? Q. Do you use floating instructors or teach from multiple locations? Q. What type of support do you offer your students after graduation? Q. How long does your course take? A. 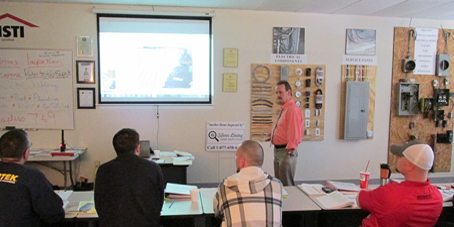 We have combined our total "Hands On" training in the classroom and out in the field into an 80 hour course which includes inspecting your first two homes while in class. You are also trained in report writing, teaching you how to complete the GHI report using 400 point software. Plus we have you complete four additional practice property inspections as part of your field study for a total of 80 hours. Our course can typically be completed in less than two weeks. Q. How much can I expect to make as a home inspector? A. In 2016 the U.S. Bureau of Labor Statistics reported the average income for a home inspector is $56,040 to $88,830 which is based on working one territory or county. We have students that service multiple counties and are now making over $200,000 a year. You can service as large of an area as you'd like. The average cost of a home inspection is $350 to $500 depending on the size of the home. If you chose to get licensed in Radon Testing that is another $150 to $200 a home. If you are testing for mold presence you can charge another $350 to $500 depending upon how many swabs you take. That's an average of $700 to $1000 for a two to three hour inspection. You can do two to three inspections a day, five to seven days a week. It's up to you...do the math! Q. Are you required to purchase expensive tools? A. No, we provide you with all of the tools you'll need to perform an inspection, at no extra charge! Some schools force their students to purchase their line of tool kits, costing them hundreds of dollars more on top of their tuition. Q. Do you charge extra for software? A. No, you are not required to purchase report writing software from us. We train you in multiple report writing softwares. Q. Are you required to buy marketing materials from The HomeSpection® Training Institute? A. No, the HomeSpection® Training Institute does not charge any extra fees and we do not require our students to purchase any additional materials. We train you in the marketing of your business and provide 7 day 24 hour support to help you along the way. Q. Do you train students in Radon Testing? A. 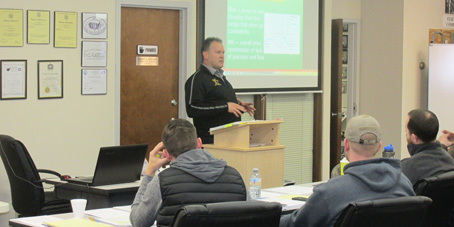 Yes, our Radon Measurement & Testing Course has been approved by the Ohio Department of Health (TR11), the National Radon Safety Board (NRSB), and the National Radon Proficiency Program (NRPP/AARST) Course ID HSTI-1. Our 2018 classes averaged over 93% passing rate for students taking the National Radon Exam. Q. 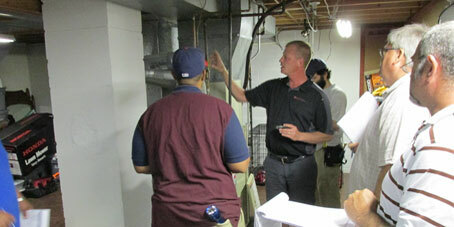 Do you train students how to identify and test for mold? A. Yes, we offer our Certified Microbial (Mold) Assessment Course which is designed to give students a basic understanding of microbial contamination and the types of equipment used during assessment. Students also learn how to identify and collect samples, as well as how to interpret results. This course is taught by Mark Adams, one of the top instructors in the country, see the About Us page for more details. Q. What is your total tuition, including any extra fees? A. Please compare. 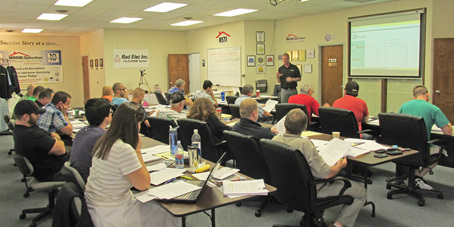 The total tuition for our Advanced Home Inspection Course is only $2995 which includes your "Hands On" training, both in the classroom and out in the field, all of your textbooks and classroom materials, all of the tools you'll need to perform an inspection, and our 7 day 24 hour support. No other school comes close. Most schools charge hundreds to thousands of dollars extra for textbooks, tools and software. That's where they make their money. 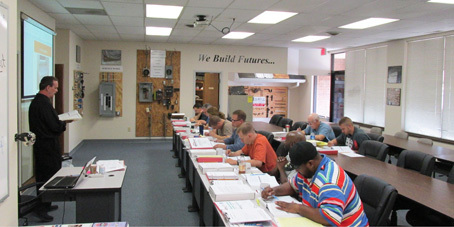 The total cost for our Radon Measurement & Testing Course is only $475 which includes taking the NRSB National Exam. Students enrolling in both the Advanced Home Inspection and the Radon Measurement & Testing courses will receive a discount of $50. The cost for the Certified Microbial Assessment Training Course is only $375. Q. Are you Accredited with the Better Business Bureau and if so, have you ever had a complaint? A. Yes, we are Accredited with the Better Business Bureau and have an A+ rating. Our school has NEVER had a complaint in our fourteen plus years, including with the BBB since we registered with them in 2012. Most schools are either not accredited or have had several complaints about their products and services. Q. Is my Certification only good in one state? A. No, you can take your Certification anywhere in the United States. Some States have different licensing requirements and it is always a good idea to look into those prior to enrolling. 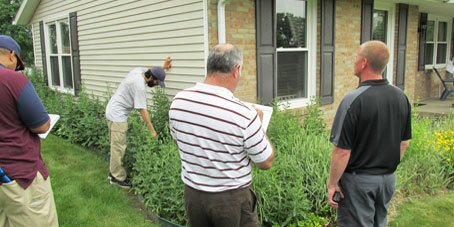 We have helped students start their own successful Home Inspection businesses across the U.S.
A. 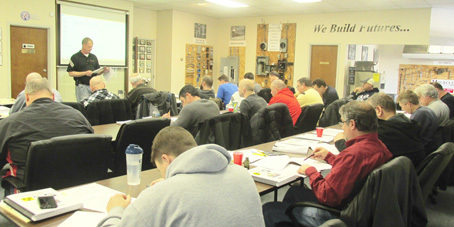 The HomeSpection® Training Institute is located in Canton, Ohio. Canton, Ohio is home to the Pro Football Hall of Fame. We have teamed up with numerous hotels within a mile of the school that offer great discounted rates to our students.